(by Eoghan Macguire and Alma Al Turkmani, CNN, Jan. 15) – The Dubai Frame, a 150-meter-tall and 93-meter-wide hollow, gold-plated observation tower, officially opened in the city’s Zabeel Park earlier this month. Believed to be the world’s largest picture frame, its glass-bottomed “sky deck” provides a 360-degree view of both old and new Dubai. When looking south from the tower, Dubai’s battery of hyper-modern skyscrapers dominate, including the world’s tallest building, the Burj Khalifa. From the opposite side, some of the city’s most historic neighborhoods come into view. 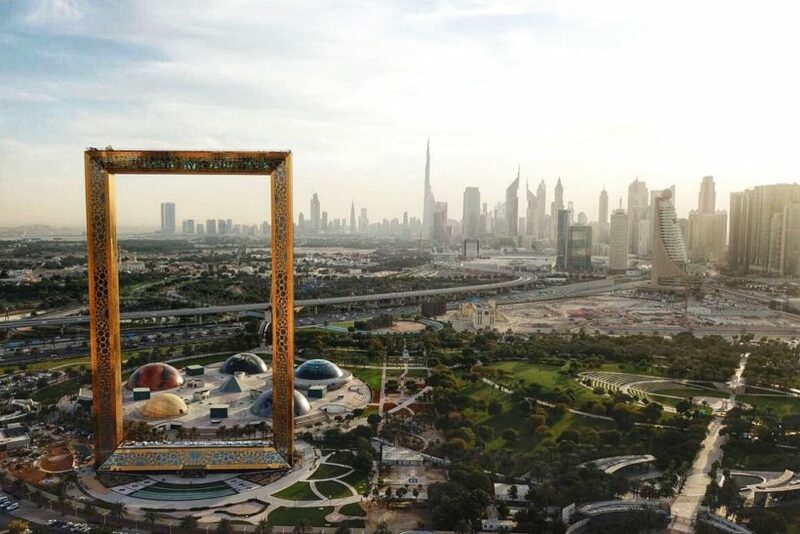 Dubai hopes the frame will become a major attraction. A museum on its lower floor recounts Dubai’s journey from a sleepy fishing village to global destination, while an immersive video experience predicts what the emirate will look like in 2050. Mexican-born architect Fernando Donis claims the idea for the $68 million frame was stolen from him. Held under the auspices of the International Union of Architects (UIA), a UNESCO affiliated organization, the competition attracted over 900 entrants. Conditions outlined in the competition’s official rules stated the winner’s design would be considered by the Dubai Municipality and, if commissioned, only be used once a contract had been signed by both parties. The winner would retain copyright and their design could not be used — even in part — without their formal consent. However, Donis told CNN last year that the Dubai Municipality made some minor changes to his design entry and went ahead with the project, without signing a contract with him. In an intellectual property lawsuit filed in the US in 2016, Donis claimed he had not been included in the frame’s construction process or been compensated for it. Edward Klaris, one of the New York-based lawyers who filed the suit, explained that the complaint was brought in the US because “the Dubai Municipality does not allow itself to be sued in Dubai.” That case was voluntarily withdrawn last month due to what Klaris described as procedural and jurisdictional issues. But he added that the matter was far from over. The Dubai Frame website currently credits Donis with the design, but CNN requests for comment from the municipality on the architect’s claims went unanswered. A spokesperson for Thyssenkrupp told CNN that it was not able to comment on the matter as it represented an alleged commercial disagreement between the Dubai Municipality and Donis. UNESCO said it was not involved cwith the Dubai Frame. The UIA (the International Union of Architects, the organization that sponsored the contest Donis won) said in an emailed statement that it had been under new direction since 2015 and did not have first-hand information about the Dubai Frame. It added that the 2008 event was correctly conducted, in line with principles embodied in UNESCO regulations, and that it could not legally intervene in the aftermath of a competition. For Donis the legal battle will continue and remains a matter of principle. But he also hopes to gain further recognition for his work on the frame, as well as financial compensation. Klaris told CNN the plan is to monitor how the Dubai Municipality proceeds with merchandising and the international advertising of the frame, to see if any further opportunities for litigation arise. b) What is the government’s plan for the Dubai Frame? c) Describe the controversy over the design. d) From the article: “The Dubai Frame website currently credits Mr. Donis with the design, but CNN requests for comment from the municipality on the architect’s claims went unanswered.” What is your reaction to this? e) How would you characterize Dubai’s billionaire rulers’ decision to credit but not compensate Mr. Donis? According to convention, the ruler of Abu Dhabi is President of the UAE and the head of state, and the ruler of Dubai is the Prime Minister of the UAE, the head of government. The UAE’s oil reserves are the seventh-largest in the world while its natural gas reserves are the world’s seventeenth-largest. The major turning point in the history and fortunes of Dubai was the discovery of oil in 1966. Coupled with the joining of the newly independent country of Qatar and Dubai to create a new currency, the Riyal, after the devaluation of the Persian Gulf rupee which had been issued by the Government of India, it enabled Dubai to rapidly expand and grow. Once the first shipment of oil was made in 1969, the future of Dubai as an autonomous state was secured, and its ability to dictate policy in later years to the UAE was cemented. 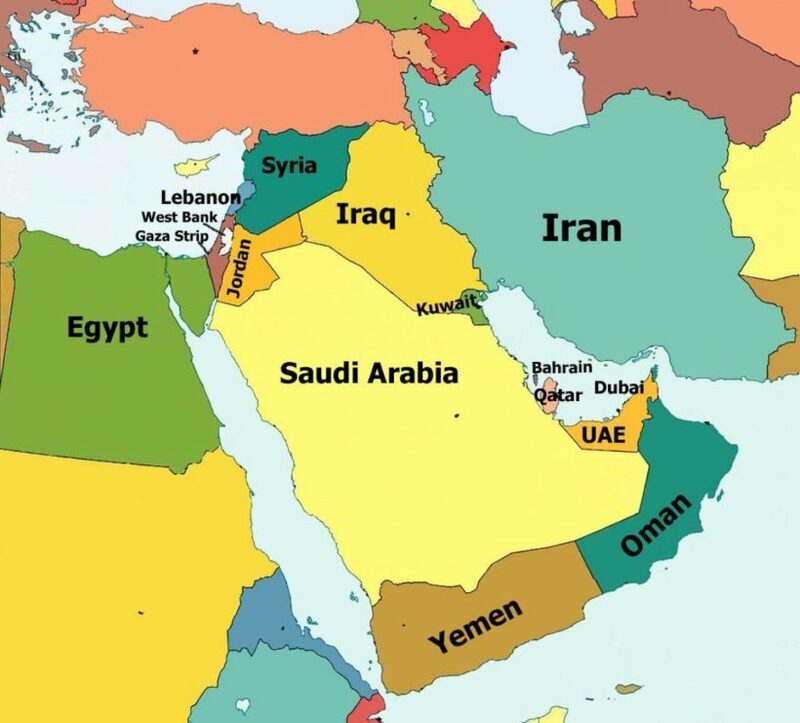 Britain left the Persian Gulf in the early part of 1971, having announced their intentions in 1968, causing Dubai and Abu-Dhabi, in conjunction with five other emirates to form the United Arab Emirates. Dubai and Abu-Dhabi ensured in the negotiations that between them they could control the country effectively, enabling even greater expansion as seen today. In 1973, Dubai joined the other emirates, in introducing the UAE dirham, the uniform currency of the UAE. Dubai and Abu Dhabi between them now hold the majority of control in the UAE, which was part of their conditions for joining. To enable this, Abu Dhabi and Dubai are the only emirates who have veto power over matters of national importance, whereas the other emirates only have a vote on such matters.